When my mother was diagnosed with Alzheimer's disease over 18 years ago, there was not much information on living with the disease. 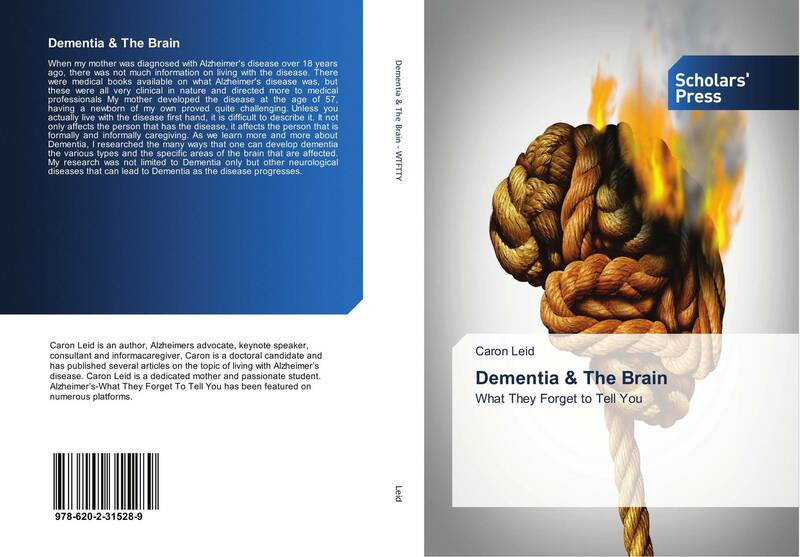 There were medical books available on what Alzheimer's disease was, but these were all very clinical in nature and directed more to medical professionals My mother developed the disease at the age of 57, having a newborn of my own proved quite challenging. Unless you actually live with the disease first hand, it is difficult to describe it. It not only affects the person that has the disease, it affects the person that is formally and informally caregiving. As we learn more and more about Dementia, I researched the many ways that one can develop dementia the various types and the specific areas of the brain that are affected. My research was not limited to Dementia only but other neurological diseases that can lead to Dementia as the disease progresses.